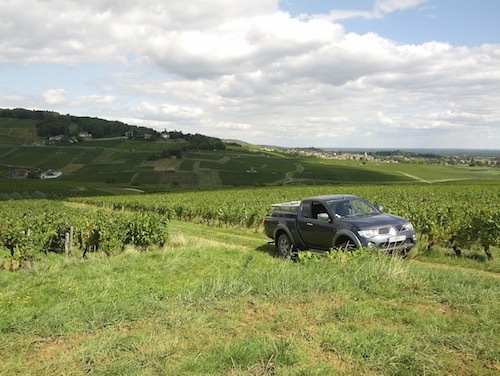 Every year at the beginning of September is when all of the Burgundy wine producers harvest their grapes. Many seasonal workers are hired, some for money and some for fun. As Tiffany and I both still have valid work permits, we decided to do it this year. It is a very unique situation for Americans to be able to experience a vendange in Burgundy, as most cannot legally work for money. Our friend Didier, who runs Domaine Charton-Vachet, is a relatively small producer, so he hired us for just four days. 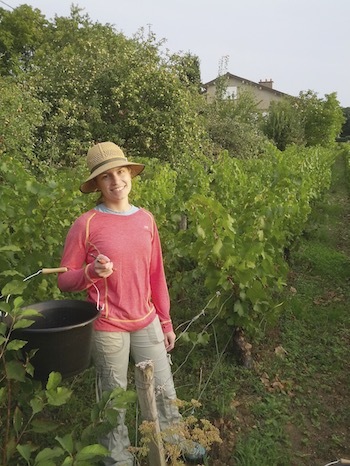 Many of these gigs go for longer and often the workers will finish working at one domaine and move on to another. For example, one couple that we were working with also planned to go up to Champagne for their harvest (where they apparently pay by weight). For us, four days was a sufficient glimpse into the life of a vendanger. We arrived at the domaine in Saint-Vallerin (a small village in the Montagny appellation) at 7:30 on Thursday morning. Two days prior, we had presented copies of our work permits and birth certificates, so when we arrived on Thursday there were some contracts (contrat à durée déterminée, or CDD) waiting for our signatures. At about 8AM, we went out to the field, which was directly across the street and contained only Chardonnay (Montagny village appellation). Didier gave us some very brief instructions and we were off. The process was very simple. First we tore some leaves off to get a better view of the grapes and then we cut them using some small clippers. In this area the pickers place the grapes in relatively small buckets, which are then frequently dumped into larger crates placed in the rows. We picked for almost two hours, until it was time for our morning snack break which included saucisson (French sausage), cheese, pâté, bread, and some chocolate bars. After the snack, Didier assigned rows to most people, but he skipped me! He then said I was coming with him. It turned out I had gotten lucky. Probably because I was one of the larger workers and Didier likely assumed I’d be interested in seeing some things, I was assigned the task (with another, very experienced guy) of delivering empty crates to the pickers, carrying the full crates (into which the pickers had dumped their buckets), and loading the truck and trailer (behind a small tractor). I say this was lucky because it was probably easier on my back than bending down in the rows and also I experienced a lot more. Driving back and forth to the winery, I got to see the whole process. It probably wouldn’t have been so lucky for somebody Tiffany’s size, however, given that we were carrying two crates on our backs and sometimes one in our hands at the same time. When lunchtime came, I learned one of the downsides of this assignment. When the rest of the workers went to lunch (a four-course meal), we had to process all of the grapes they had picked in the morning, meaning we ate later. These white grapes had to go through one machine to remove the stems and another to crush them. My task was menial, because obviously the guy who had been doing it for 16 years and the domaine owner knew what they were doing. I was instructed to hold the hose going from the destemmer to the crusher and ensure that it never went into the crusher, otherwise very bad things would happen. This was a fairly high-exertion task, because I didn’t know the optimal strategy, but it was straightforward. I was just glad to be in the winery observing the process. The afternoon followed the same basic process. Deliver empty crates, pickup full crates, and bring them back to the winery. The picking finished around 18:30 and then I experienced the other downside of my job. I had to stay later too, because we had to process all of the grapes from the afternoon. We (because Tiffany and I drove together) ended up getting out of there at maybe 20:00. On Friday morning, we showed up at about 7:45 to have some coffee before heading out at about 8:00. This time, we went to a plot near the village of Montagny. These grapes were Montagny 1er Cru Les Jardins (Chardonnay). The day progressed similarly to Thursday, but one interesting thing is we took a ride over to deliver a small truckload of grapes to the coop in Buxy. We aren’t big fans of that place anymore, but it is where I got started with my Burgundy wine tasting two years ago. Last year Tiffany and I went over there during the harvest to look at the line of tractors and trucks dropping off loads, so it was neat to be in the line this year. The way the coop works is farmers sign a contract to deliver some or all of their grapes from a given plot to the cave, and then they are paid by weight. This means that the farmers don’t need to have their own equipment (crusher, destemmer, tanks, etc.) but it also means that there is an averaging effect. In fact, I believe that these grapes from the Les Jardins climat that we dropped off are likely bound to end up in a more generic bottle labelled simply “Montagny 1er Cru” whereas the stuff that Didier produces himself will have the label “Montagny 1er Cru Les Jardins,” which is more specific to the plot of land. The wine that comes out of the cave will often be decent, but it’s rare to find really good stuff there. If a producer really cares about producing quality wine, he’ll have his own equipment and take ownership over the whole process. If a farmer just wants to profit on farming grapes, the coop is a better choice. I again stayed late to help out in the winery, just helping to unload the palettes and perform the menial hose-holding task for the crushing. We didn’t leave until about 22:00 that night. On Saturday, we arrived at about 7:50AM. You can probably see how the sleeping hours were becoming scarce at this point. This time, we went to another plot just downhill from Les Jardins. This was the normal Montagny village appellation. The picking was done in time for (I believe a slightly late) lunch, but of course I stayed a couple hours extra to help finish up with unloading and processing the grapes. We left at about 17:00. I didn’t get as much experience picking as Tiffany did, but to me the Chardonnay and Pinot noir plants seemed quite similar. The Gamay seemed similar also, but maybe a little more difficult to access the grapes. The grapes seemed to be closer to the vines, but this could be purely anecdotal. For lunch on Sunday, we had a picnic on a palette. Otherwise, the normal schedule with the morning break and then the lunch break was pretty much the same as before. I was asked to help load some crates onto a palette for the refrigerated truck towards the end of the day and then I helped deliver some empty crates, before going back to picking. We finished picking at around 17:30 and were back in Saint-Vallerin at around 18:30. 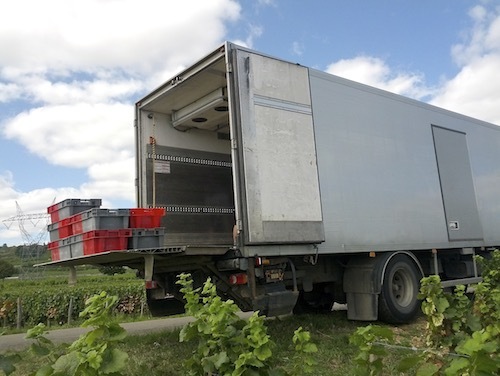 After the refrigerated truck arrived, we unloaded it and processed the grapes. This is easier for the Pinot noir, as they don’t need crushed. They simply got dumped into the destemmer and from there they went straight to the tank. A couple hours later, we began a dinner with sausages and plenty of wine (though I was driving and already exhausted, so I didn’t benefit much from that). I was getting more and more stiff and sore each of the four days, but interestingly I wasn’t really that sore the next day after 11 hours of sleep. However, my skin has been reacting pretty badly all over my body and particularly on my hands. I get eczema sometimes, but this is the worst I’ve ever had. It’s interesting that I had no skin problems during the harvest itself, aside from a few scrapes, but a day later this became a real problem. Today is the fourth day of rest after the harvest and my skin was bad enough that I went to the doctor. It seems I likely encountered some plant that I was allergic to and this triggered a reaction all over. Posted on September 10, 2015 by Eric. 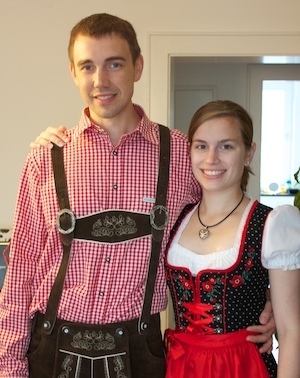 This entry was posted in France, visa, wine, workplace. Bookmark the permalink. I want to take six or eight eighteen-year-olds from Britain and the US next autumn. Do you have any advice about how to get accepted on a harvest in Burgundy? I have read that there exist ways in which you can actually pay to do it, but obviously that is a bit less attractive.